In 1856 two rural townships called Hopedale and Lyon were amalgamated to form Uniondale. Wagon and cart building and other industries flourished, as did the rearing and trading of cattle, sheep, goats and horses. It was a really happening town until the outbreak of the 1st World War. Gorgeous architecture has been left for us to enjoy. 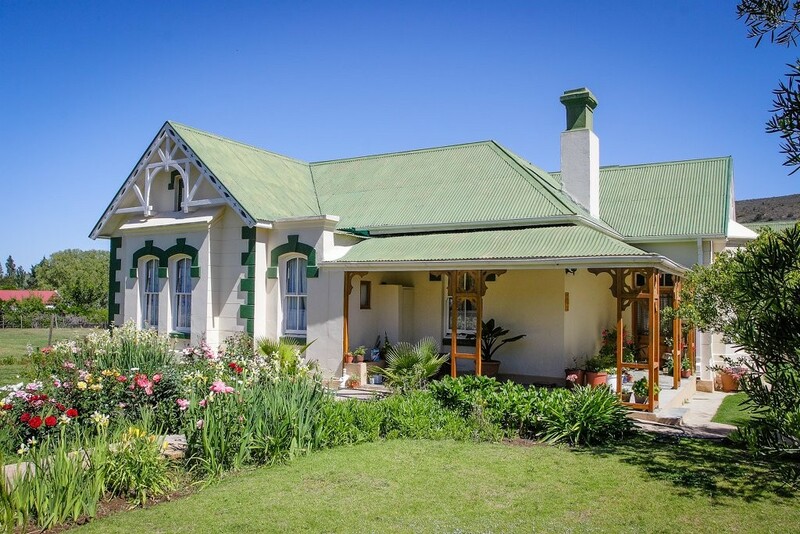 Uniondale has many architectural gems to discover, all within walking distance. We don’t want to give away all our secrets on the website, and only list a few here to whet the appetite. 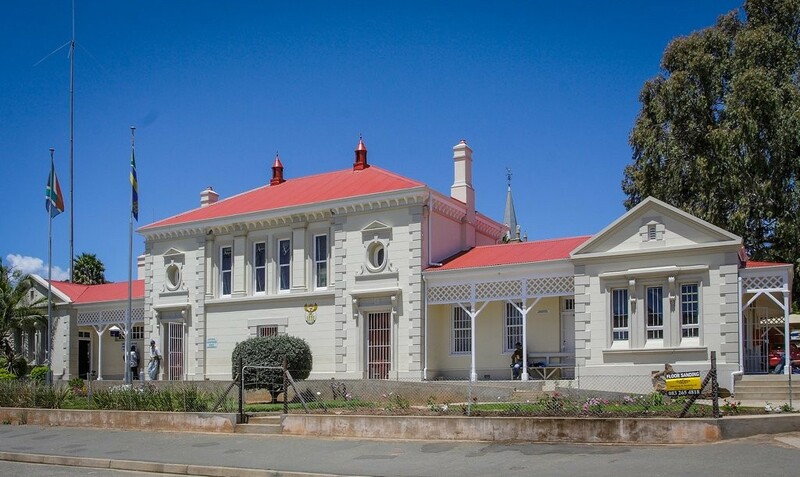 The classically inspired building of the Police Station and Court House was built in 1891. Next to that is the Apostolic (Pinkster) Protestant Church, built in 1843 which is one of the seven National Monuments in Uniondale. The school building on the property now houses Little Theatre Café and tourism office. The Salvation Army Hall which was built in 1887 now houses Penny Lane coffee shop. 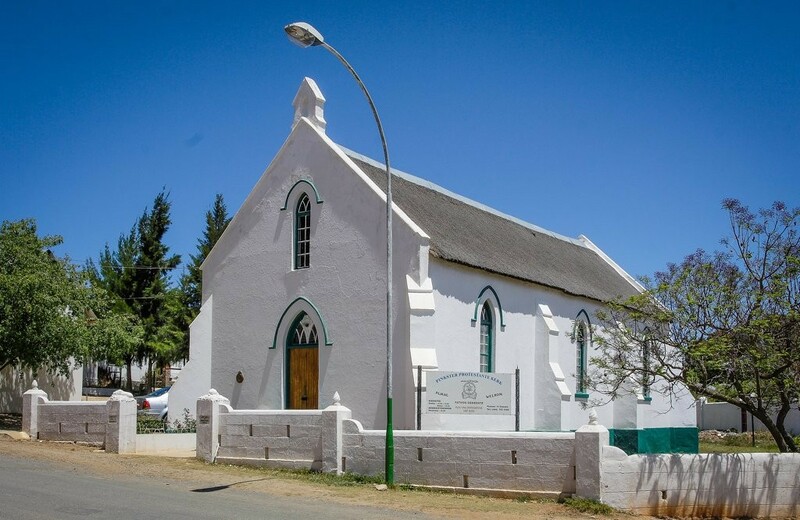 All Saint’s Anglican Church (1876) was designed by Sophia Gray, the first woman ecclesiastical architect in South Africa. Notice the gorgeous locks on the doors. Look out for Cape Dutch gable of ‘Bon Accord’, behind which is the original cinema and roller skating rink of the town. Click on the photos below to enlarge and for descriptions. A unique feature of Uniondale and particularly Victoria Street, is that the by-laws allow a certain number of farm animals in a residential area. Beurtwater used to be available along Victoria Street, with each property allowed 2 hours of water per week. That was before the town grew too large, and sadly the town doesn’t have enough water for this agricultural irrigation. 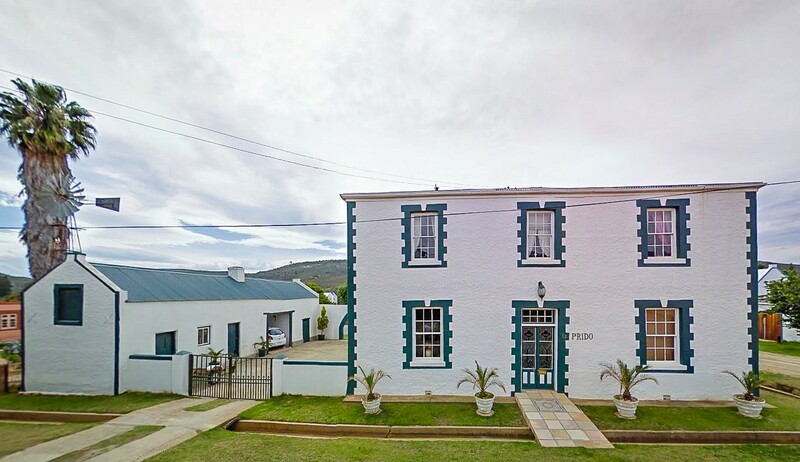 The double storey residence resembling a full-size doll’s house, was built in 1857. In the garden of of no. 18 Victoria Street is the original ice cream shop. Some of the houses on Victoria Street were painted ice cream colours. The double storey house we just mentioned was the Chocolate Box, and other houses were painted raspberry, strawberry and vanilla. Also in this garden is a large reservoir which was the town swimming pool. 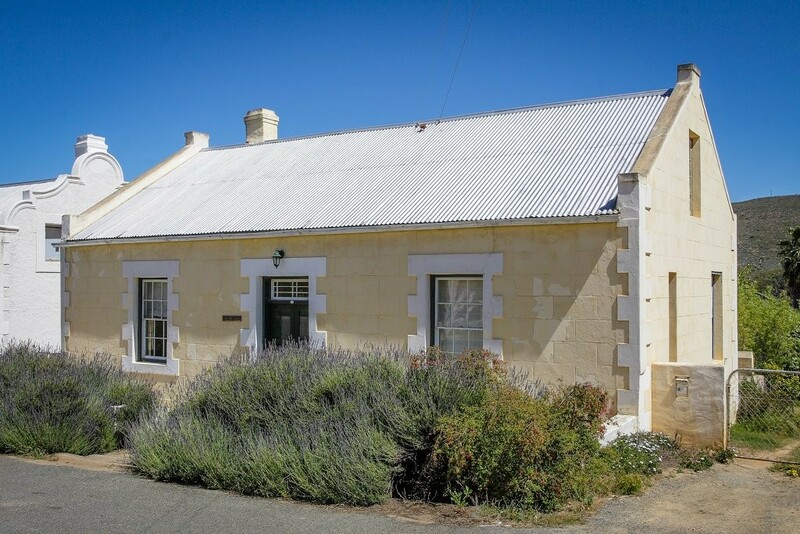 The two beautiful Historical Monument cottages ‘Genoeg’ and ‘Applewood’ were built around 1850 of the local sun-baked mud brick. 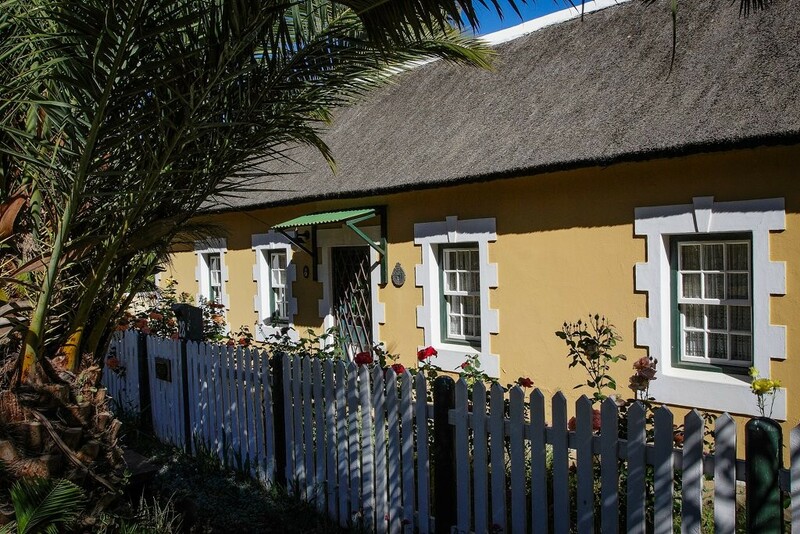 These cottages were originally built by a Dutch carpenter – one was his home and the other his workshop. 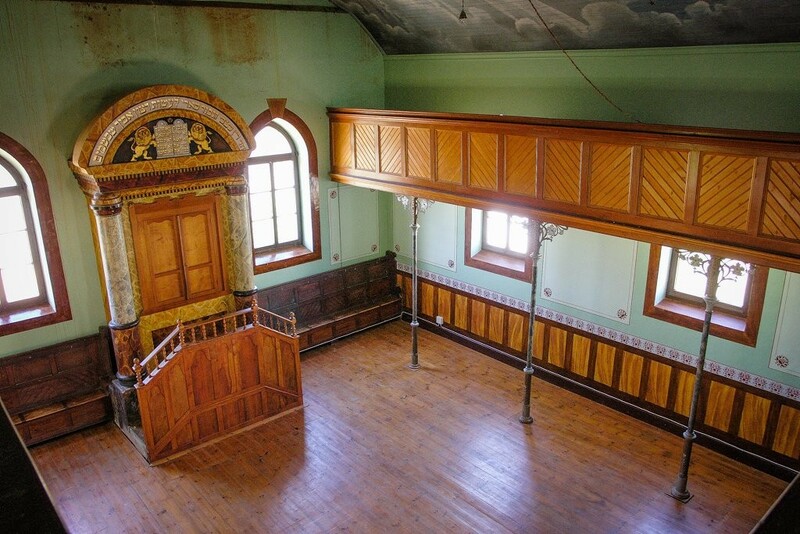 The Synagogue (1905) is a must-see treasure of Uniondale, beautifully restored and maintained by the Lions Club. If you would like a guided tour, you can go on an early morning “Walk and Talk” with Carol Trehearn (071-915-7696) or with Dirkie Coetzee in his snazzy yellow Tuk-Tuk (071 152 1046). Click here for more details on the Tours. Thomas Hood, preacher and teacher, was sent to Avontuur in 1840 by the London Missionary Society. He started his congregation with 6 members, but this quickly increased to 100. During the Anglo Boer War (1899-1902) Uniondale was protected five British forts, of which four are still visible today. 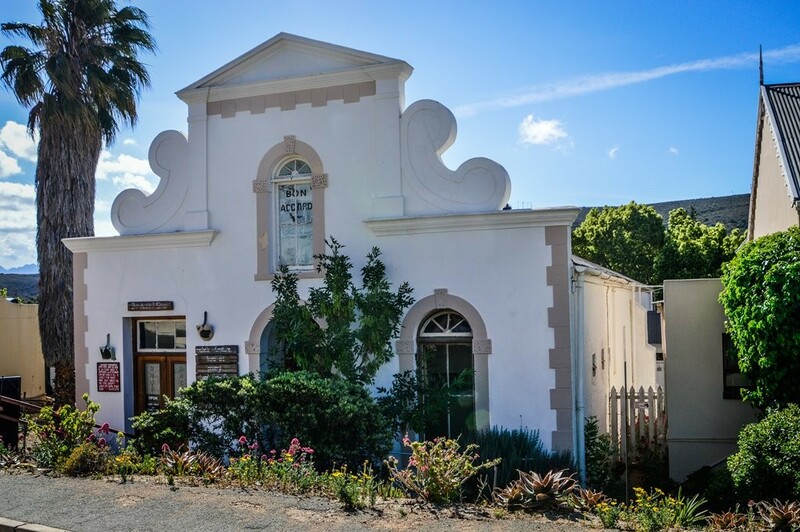 The original Dutch Reformed Church (built in 1866) is at the Southern entrance of Uniondale on Voortrekker Street, now called the Voortrekker Saal and is used for community projects. 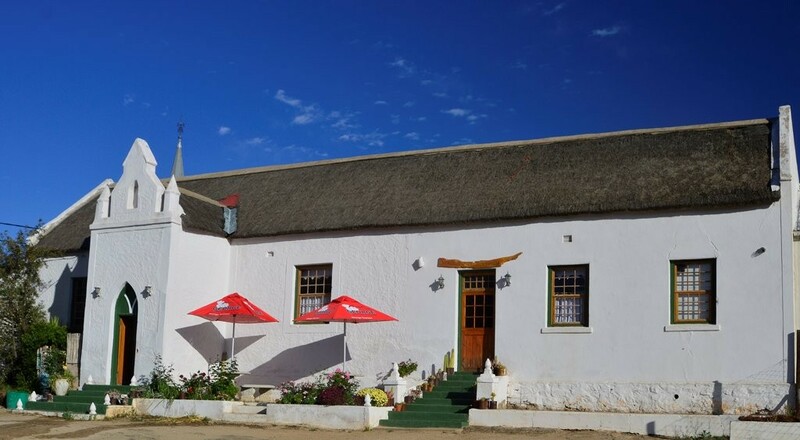 Uniondale has a rich history and two cycling or walking routes has been mapped for visitors to experience some of the town's past.